Which Dadget does Gad have? Wait..
Like any good Dad, I'm teaching my son the important things in life, such as being able to distinguish the BlackBerry Bold 9900 from a BlackBerry Bold 9780. I do this to make his own BlackBerry decision making process much easier in his future. It's also to help remind him to pick out accessories for his old man in a store. So if you see a 4 ½ year old asking you for cases for a specific model, you can be sure he knows what he's talking about. If you're not sure how to bring it up, at least have a good look at what he has. Our own ShopCrackBerry.com store has a device selector option that will slim down the choices relevant to the device he has. Choosing Dad's next BlackBerry may be a difficult challenge. Sure, he'll benefit from upgrading from an older OS to BlackBerry 7, but which model should you go with. In my fatherly opinion, he may love to have a touchscreen, but may not want to give up the physical keyboard. He may also not want too many moving parts for his smartphone- just something simple in design. 3 years ago, I said "If I had a BlackBerry smartphone, with a trackpad, touchscreen and a Bold 9000 form factor, I'd be a happy geek." 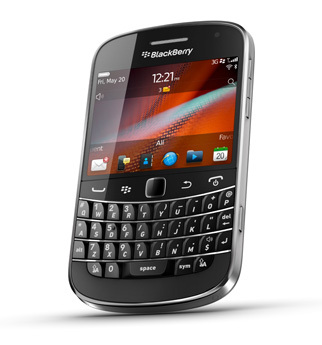 The BlackBerry Bold 9900 is the answer to my prayers. Looking at it from a Dads perspective, it's the perfect size, as it's nice and wide and thin at the same time. Its design boasts both power and professionalism. The LCD touchscreen and liquid graphics give Dad a vivid look at videos, regardless if it's a sports replay, an ad for his company, or revisiting your first steps. He can capture even more memories in 720p HD video, using a 5MP camera. The ever powerful universal search is augmented even further with voice activation; which helps him search quickly and allows him more time to do what he does best, being a great Dad. For an incredibly in-depth look at the BlackBerry Bold 9900, have a read of Kevin's review. With such a busy schedule, Dads don't always think about keeping their BlackBerry smartphones charged. While you could grab a second battery for him, I say go one step further. 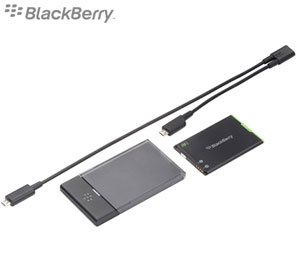 The BlackBerry J-Series Extra Battery Charger Bundle for the Bold 9900 not only gives you a second battery, but a way to charge both it and your BlackBerry Bold 9900 at the same time. The Y-cable turns your standard wall charger into two. The battery charger doubles as a protective carrying case. Here's another option for you. Some users don't like having to deal with a charging cable. You may have forgotten it at work, or it may have fallen behind the desk where you can't reach it. Consider the PowerMat Wireless Charging System as an alternative. All you need to do is replace the Battery Door of your BlackBerry smartphone with the Receiver Door that comes included. Then you simply have to place your smartphone on the wireless charging mat. Drop it and charge it. Check ShopCrackBerry.com to see if the model your Dad has is compatible. 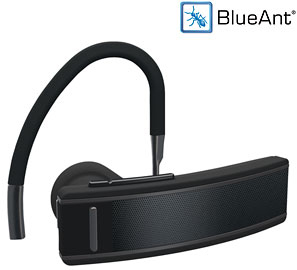 To make sure both hands are free to work, drive or even play, Dads need to have a reliable Bluetooth headset. The BlueAnt Q2 provides almost every reason available to have use of all 10 digits. Besides the amazing call quality, the Q2 has an advanced comprehensive voice recognition command system for call management, talking caller ID, SMS reading and much more. Heck, he can even search for numbers and locations using Bing411! You want your Dad to succeed at work, so you could give him the edge he needs. 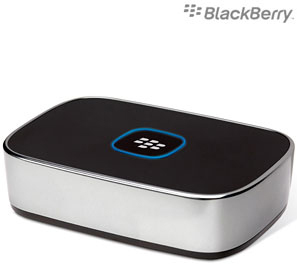 Having the BlackBerry Presenter handy, he can make presentations using his BlackBerry smartphone. It connects directly to a projector or monitor via a VGA or S-Video cable, and to your smartphone via Bluetooth. Its Freeze mode pauses the displayed image while you navigate through the presentation on your smartphone-the Loop Mode tracks the time between slides. Having such a portable device to carry with him between meetings will make his day go much more smoothly. One more item to add to my – I mean – a Dads wish list is a Bluetooth keyboard. Not everyone likes to type on the virtual keyboard on a BlackBerry PlayBook, they like the feel, or they just simply type faster on a physical keyboard. 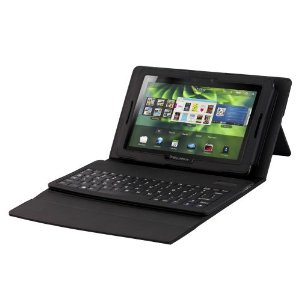 To address this, Hip Street designed the Venture Case with a Bluetooth Keyboard designed specifically for the BlackBerry PlayBook. The case also doubles as a stand, practically transforming your tablet into a netbook. It's durable, light weight and compact. It's perfect for your Dad to carry in his arm, briefcase or laptop bag. Finding the perfect work/home balance isn't always about proper time management. It's also about having a case that's sleek enough for use at work, yet durable enough for an active family life. 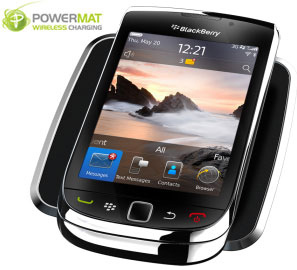 Case-Mate has a long history of providing BlackBerry users with lightweight, yet durable coverings. 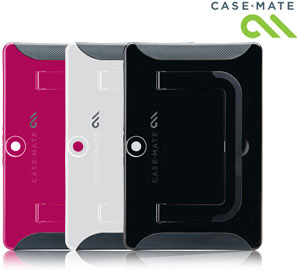 The Case-Mate POP case is available for some BlackBerry smartphones and the BlackBerry PlayBook as well- with amazing colours, soft rubber and hard plastic reinforcement. Our devices have effectively replaced carrying photos in your wallet. On top of photos, we carry voice and video recordings of family, as well. Dads also like to watch movies they like, as well as keep videos on hand that their kids may like too. Now the problem is that on-device memory does vary between BlackBerry smartphone models. What every BlackBerry toting Dad needs is a decent sized memory card to store all of the previously mentioned media. 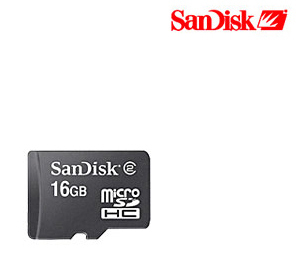 I would recommend nabbing a 16GB micro SDHC memory card (that's 16 gigabytes, not "geebees"). You may have heard of SD before, but not SDHC. SD stands for Secure Digital and HC means High Capacity. The SDHC family has a range of 4GB to 32GB. When it comes to driving, how often have you seen your Dad using his BlackBerry smartphone while driving? Now how many times have you told him to put it down and keep his hands on the wheel. It's time to give the guy a Car Mount. Now if you're not sure which model he has, and no way of telling, you can go with a universal one-like the ones Arkon carries. 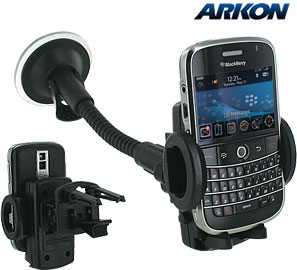 The Arkon CM910 Vehicle Mount Kit & Universal Holder is designed to fit most smartphones and secure to numerous places on the car. It can clip to an air vent, stick to the windshield or mount on your dash. That way, you can account for your Dads smartphone and where he likes to /should keep it. Check out my review of it here. Dads are busy and they love to keep organized. A Dad that can manage a schedule can get their work done in order to focus on the most important thing in his life; his family. Though his BlackBerry smartphone does have a calendar, a memo pad and a task application, he might need something a little more robust. Take deToday for example; the application places his appointments directly on the home screen. No need for opening a drop down list- they're right there, staring him right in the face. The font size, type and screen position can all be customized, as well. If your Dad totes a BlackBerry PlayBook, I would recommend LinkNote to keep him focused. 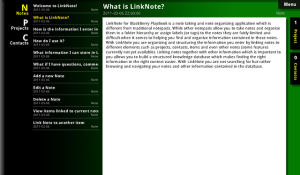 Not your typical note taking application, LinkNote helps you associate notes with projects, as well as with contacts. By connecting relevant information, it then provides an incredibly resourceful database of information. Clicking on one item brings you together with related information, projects and people. Whenever I get a chance to, I like to read. If not for myself, I make sure that I read to my son every single night. With that in mind, there are only so many books that can fit on his bookshelf. So the perfect solution is an eBook reader. 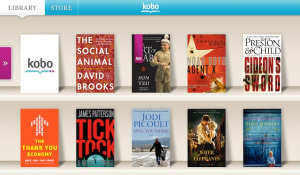 The BlackBerry PlayBook comes with the Kobo eBook reader straight out of the box. 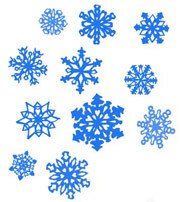 You can then purchase a few eBooks from their online store. If you want to go for the more traditional approach this year, and get an actual book, there is one that you should keep in mind. I'm talking about CrackBerry: True Tales of BlackBerry Use and Abuse. This paperback book serves as a guideline for BlackBerry usage etiquette and responsibility. That way, Daddy won't go in time out for using his BlackBerry when he's not supposed to. While kids are young, they help keep Dad in shape as he constantly runs after them. As you get older, so does your Dad. You want to help him stay in shape. Luckily there are tons of applications for both the BlackBerry PlayBook and BlackBerry smartphones designed to ensure he keeps the fat in the word Father and not on his belly). Gymtechnik is a vastly popular health and fitness application for BlackBerry smartphones. With it, you have use of their collection of exercises and images, full motion videos of each exercise, track your progress (reps, speed, weight, etc), view your physical stats and manage your workout schedule. 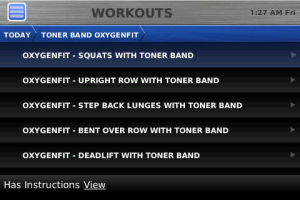 On the PlayBook, Dads can use WorkoutJournal to log exercises. Workouts are customizable and simple to understand. You can also manage the built in schedule to see when you have exercised and what you did. It's a one stop shop to see the weight drop. Dad will be able to decide how hard, or how little he wants to work; though you can help make up his mind by giving him clothes two sizes too small. I know there have been a few times that I've been working on a presentation, or report at home and forgot to make sure I had it when I got to work. Of course, that was before I had a Dropbox account. All I had to do was upload it into the cloud and then I could access it from anywhere. Even if I forgot to upload, I could always call home and have someone do it for me; no longer am I limited by the file size restriction experienced with email providers. You name it, I can access it- documents, PDFs, images, music and so on. If your Dad doesn't have a Dropbox account. 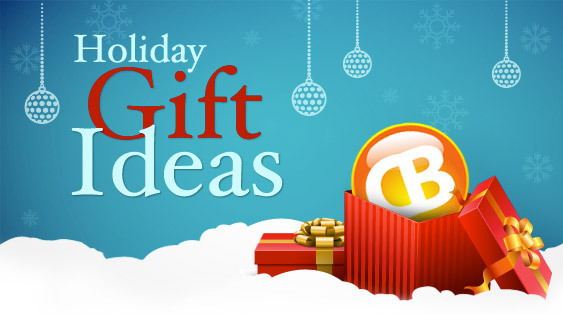 You can be a Scrooge and sign him up for a free 2GB account, or you can pay for a 59GB account for $9.99 per month or 100 GB for $19.99 per month. ScoreMobile is one of the best ways to stay on top of the sports your Dad loves. Supporting both the BlackBerry PlayBook and BlackBerry smartphones, ScoreMobile is the next best thing to watching the game on the big screen (or live). On second thought, it's also a great companion if you are watching it too! Numerous leagues (such as the NHL, NFL, MLB AND NBA) are covered in depth. 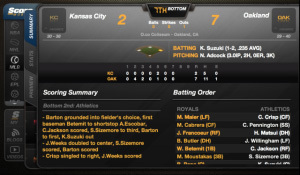 Up to date scores, stats, news and more are easily accessible. You even have access to interactive live blogs and Twitter streams.